Clerk's Booking has many advantages for your hotel, we invite you to learn what and how to use their full potential. Best thing about Clerk's Booking is that it is fully integrated with the admin panel of your account Clerk! This means that when a customer makes a reservation directly to your web site, all data is automatically entered and detailed. Stop wasting your time getting emails from brokers and having to enter reservations by hand ... 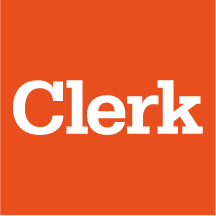 Clerk does all that for you. When making reservations using the Booking, neither the client nor the hotel pays commissions. This service is free of charge because we do not register money transactions and because here in Clerk we think that this service should be free for all our users. There are many ways to deal with reservation payments, here's how to take advantage of this tool - choose the one that best suits you. First of all, know that every time that someone makes a reservation, an email confirmation is sent to the client. The two good reasons for doing this is that the customer is comforted in your payment, and the second, warns you that your reservation is awaiting for payment. Email: be careful in choosing an email that inspires confidence, numbers, or names to avoid strangers. If you use an email service like Hotmail or gmail-indicated reserves nombredelhote @ gmail. Fax: traditional method. indicates either the number and do not forget to confirm by email to the correct reception of the data. You can also add a payment service to your booking engine, learn more about it here.